A WordPress link cloak plugin is primarily a tool which helps you cloak (i.e., disguise) an ugly or long link. There are several reasons why this can be helpful. However, link cloaking is mostly used by affiliate marketers to help them hide their ridiculously long, and ugly looking affiliate links. Now, it is worth pointing out that looks aren’t the exact reason why you should cloak your links. It is in one of the best SEO practices to have short, readable URLs on your website. And if anything gets too large, then it will impact your SEO performance. Furthermore, looking at ridiculously long links, some cautious users don’t feel comfortable heading into them. But all this can be handled by masking your links, by shortening them. WordPress offers some different plugins which can help you with link cloaking. Most of them also come with some relevant feature with them, such as 301 redirecting, link tracking and so on. In this article, we will be looking at some of the best WordPress affiliate link cloaking plugins. If you don’t want to invest money, and simply wish to test if link cloaking truly helps improve your site’s performance in the intended way, then go with the free options. However, if you desire access to advanced functionalities, then the premium options will be the way to go. Regardless of what you need, you are bound to find something useful. Starting off our list of cloaking plugins for WordPress, we have ThirstyAffiliates Affiliate Link Manager. 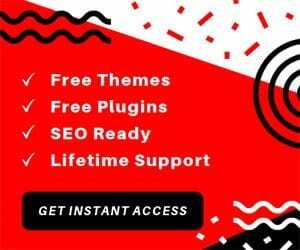 It is a freemium plugin which means you can use the plugin for free, but if you want access to more advanced features, then you will need to buy the premium version. Since here we are only interested with link cloaking, the free version of the plugin will more than suffice. It is evident from the name; this is a plugin directed to help you with affiliate marketing. As such, it features many options that will help you to manage your affiliate links better. One such feature is the ability to cloak your affiliate links (or any other links for that matter). There is also the option to use 301, 302, and 307 redirects so that your user’s browser doesn’t misjudge your links as malware. ￼The ShortLinks plugin by Pretty links is another excellent choice for cloaking your links on your WordPress website. It is one of the most popular links tracking plugins in the marketplace. With the plugin installed on your site, you will be able to shorten links and thereby cloak them. Also, the shortened links will have your website’s domain name in them which gives all your links much more authority and trust. Besides the link shortening ability, another key feature offered by this WordPress affiliate link cloak plugin is a detailed analysis of the performance of your links. You will get comprehensive statistics like the number of hits/ unique hits each link is getting, IP address of the people using your links, their browser versions, operating system, referring sites, and much more. The plugin also gives you an intuitive interface to handle all this. Next up, we have Easy Affiliate Links, another link cloaking plugin targeted at affiliate marketers. The plugin not only helps you to cloak your links, but it can also help you to better manage all of them with ease. You have the option to cloak your links wherever you see fits individually. It basically shortens the links to hide them and to make them more manageable. 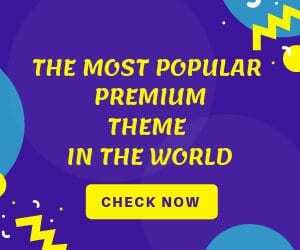 This WordPress affiliate link cloak plugin allows you to use categories for better management of your cloaked and uncloaked links. On top of that, you have the option to import as well as export, your links for backing up. Just like some of the other plugins, here too, you will get link tracking functionalities. Other notable features include the option for A/B testing, geotargeting, and a broken link checker. Auto Affiliate Links WordPress plugin helps you to add affiliate links to your content automatically. This is one of the must-have plugins if you are an affiliate marketer. With the plugin installed, it will extract and display affiliate links from Amazon, Clickbank, and many more affiliate programs, without you having to lift a finger. However, we are concerned about link cloaking, and this is also a feature handled expertly by the plugin. Not only link cloaking, but it will also allow you to make the links nofollow or dofollow, open in new pages, and much more. Also, if you wish to handle all the links yourself manually, then that can also be managed through the plugin settings pages. And now coming to the end of our list of free link cloaking plugins, we have WooCommerce Cloak Affiliate Links. As you might have guessed from the name itself, this is a WooCommerce extension which will function if you have the WooCommerce already running on your WordPress website. The target demographic of the plugin are e-shop owners who wish to hide the links on their site. This affiliate link cloaking plugin is straightforward to use, but this is mostly because of the limited functionalities. You can only cloak links with the plugin, set up 301, 302, or 307 redirects, or make your links nofollow, and that’s it. You will not get any of the fancy tracking or reporting functionalities as you have seen with the other plugins. But if that is something you don’t need, then this is a solid option for your e-commerce website. Kicking off our list of the best-paid link cloaking plugins for WordPress, we have EasyAzon. This affiliate link cloaker plugin is targeted at affiliate marketers using the Amazon affiliate program on their WordPress website. It is jam-packed with features and will primarily function as an all-in-one affiliate marketing solution for your site. Notable features of the plugin include the option to add links to the Amazon Affiliate program from the comfort of your WordPress dashboard. Then there are link localization options, which means users coming from a particular geographical demographic will be directed to their corresponding Amazon website. It can also help you to add an “Add to Cart” button on your site. This will give your readers the option to add a product to their cart and save it for buying later. An excellent and proven means for increasing conversion rates. Following EasyAzon, we have LinkTrackr WordPress plugin. It is another one of the top affiliate marketing plugins which come loaded with functionalities. However, here we are mostly focused on its link cloaking potential. First and foremost, the plugin supports mostly all the major affiliate programs in the market. You will be able to disguise all the affiliate links from these programs and create a shortened link containing your website domain name. Other notable features of the plugin include detailed reporting, A/B split testing, the option to track pay per click ads, Google AdWords optimization, and much more. You also have complete control to set your own cookie rules as well as the specific duration for which a session should last. 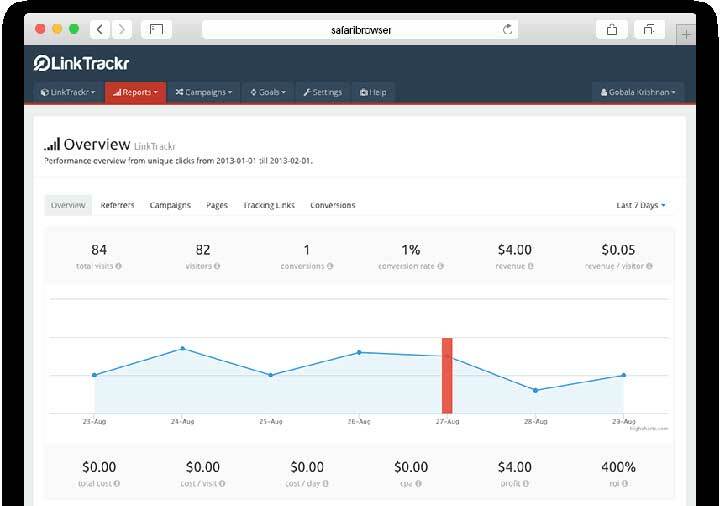 You will also get bot filtering, detailed commission reports, pixel and Postback tracking, and much more. Now, for the last link cloaking plugin on this list, we have WordPress Amazon Affiliate Plugin. This plugin also works in with the Amazon affiliate program exclusively. The plugin uses Amazon’s product API to help users effortlessly integrate Amazon affiliate links into their WordPress posts, pages, and different post types. All the affiliate links that you enter with the plugin are automatically cloaked. The cloaked link can also be fully customized. Besides that, the plugin can also help to localize the links to the visitor’s country which in turn will help you avoid potential losses. You will also have the option to insert linkable product images, add product reviews, showcase similar items on Amazon, and so on. It is indeed one of the must-have plugins for any Amazon, affiliate marketer. Any other WordPress Link Cloaking Plugin? So, these were our picks for the top link cloaking plugins for WordPress. We hope you found this read to be helpful. If you already use one or two of the plugins we mentioned here, then do let us know about your experience using them in the comments section. Your fellow readers will love to learn from your experience.